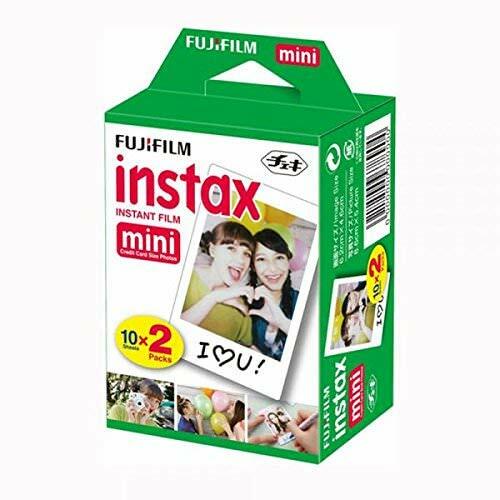 Fuji Instax mini Films(Credit Card Size Photos)film is for all instax mini cameras(Mini 90,Mini 7,7S,Mini 25 ,Mini 8,Mini 50s,Mini 55,55i) and comes in a handy cartridge. It offers stunning instant pictures that you can fit into a purse, wallet or mini photo frame. Instax film ensures sharp, clear reproduction, vivid color and natural skin tones. Highly stable, the new emulsion performs at temperatures as low as 5°C and as high as 40°C. Made in Japan version Fresh films.